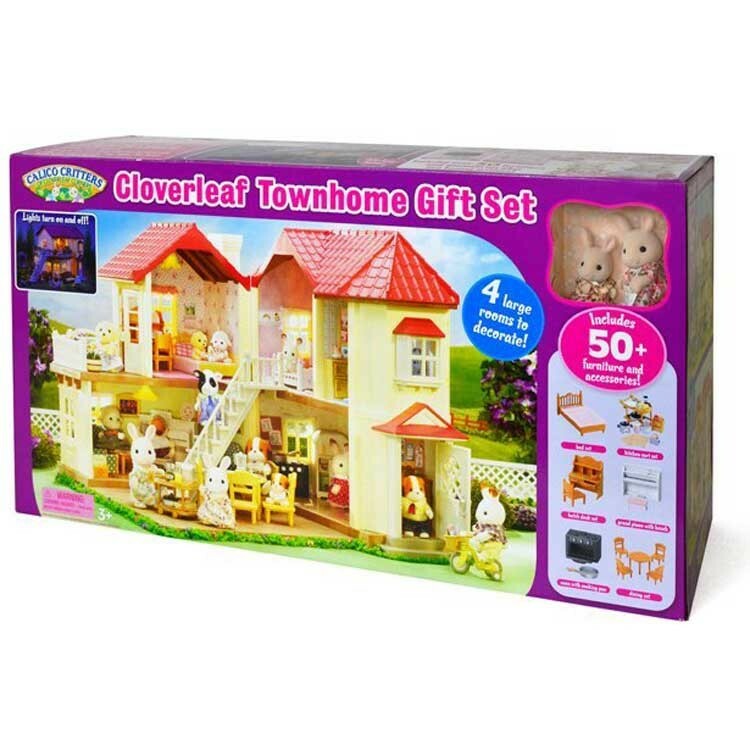 This deluxe dollhouse Cloverleaf Townhome gift set from the Calico Critters collection comes with 50+ furniture pieces and accessories and 2 adorable toy figures. 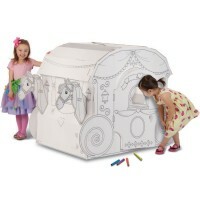 Better, bigger, more luxurious than ever! 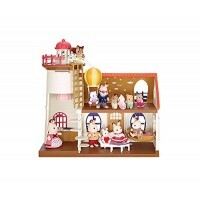 Kids' favorite Calico Critters Townhome dollhouse now comes as a super gift set! 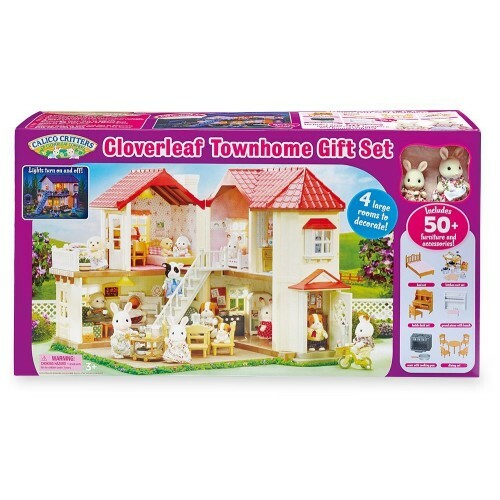 Calico Critters Cloverleaf Townhome Deluxe Gift Set contains more than 50 pieces, 2 animal figures - everything your little girl needs to play for hours! 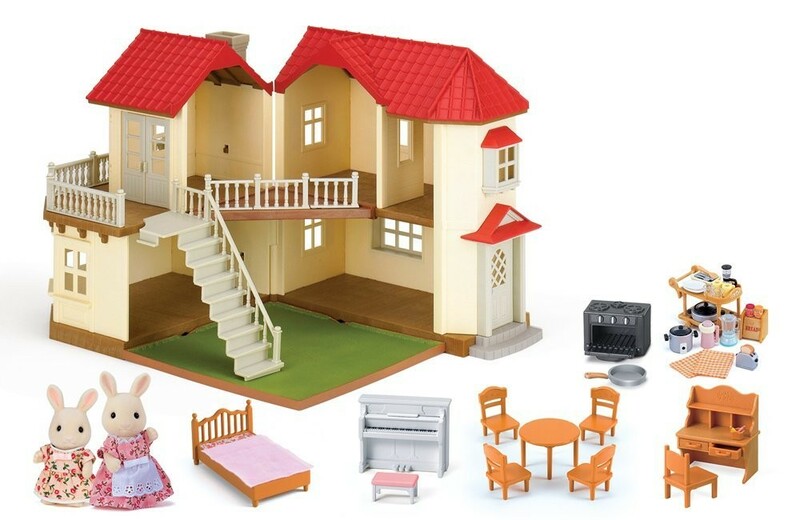 The Luxury Townhome features a 2-story dollhouse with 4 spacious rooms, a balcony, room divider, moveable staircase, opening doors, turning lights, and more. 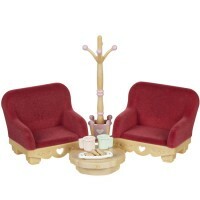 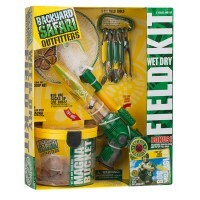 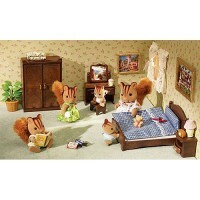 This deluxe gift set by Calico Critters brings furniture pieces and play accessories for the dollhouse. 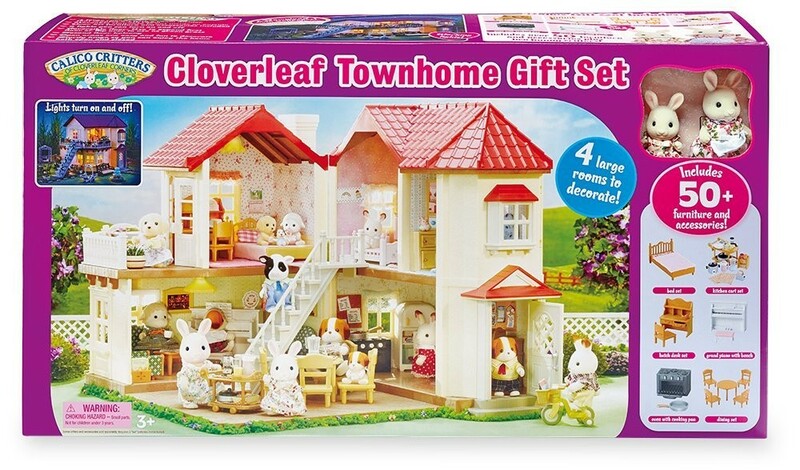 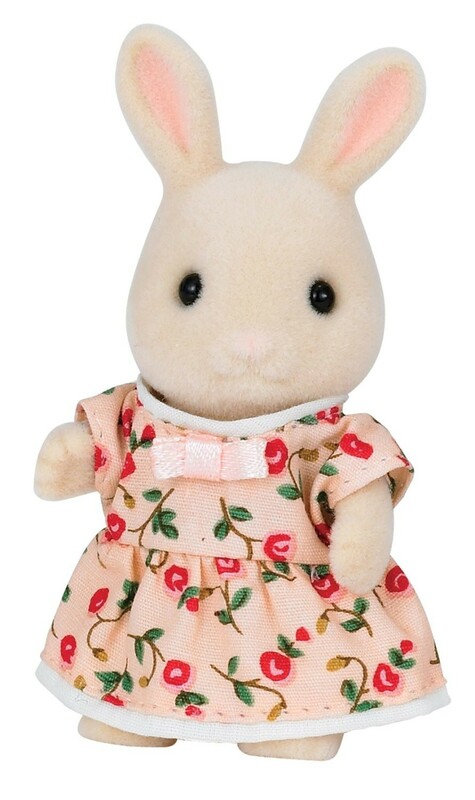 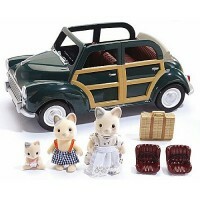 The Calico Critters Cloverleaf Townhome Deluxe Gift Set comes complete with a bed set, an upright piano with a bench, a hutch desk set, an oven with cooking pan, kitchen cart set with play food and mini appliances, a dining set, and 2 fully dressed poseable animal critters - a rabbit mom and an her daughter. 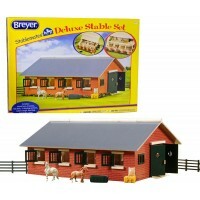 The girls favorite dollhouse from Educational Toys Planet measures 12 x 12 x 12 inches and requires 2 AA batteries (not included). 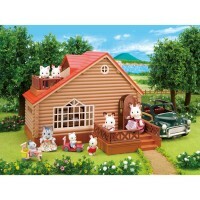 Dimensions of package 25.5" x 8" x 13.75"
Write your own review of Calico Critters Cloverleaf Townhome Deluxe Gift Set. 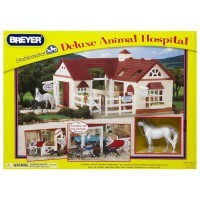 Rating: 5 Great doll house by Claudia Ave loves it! 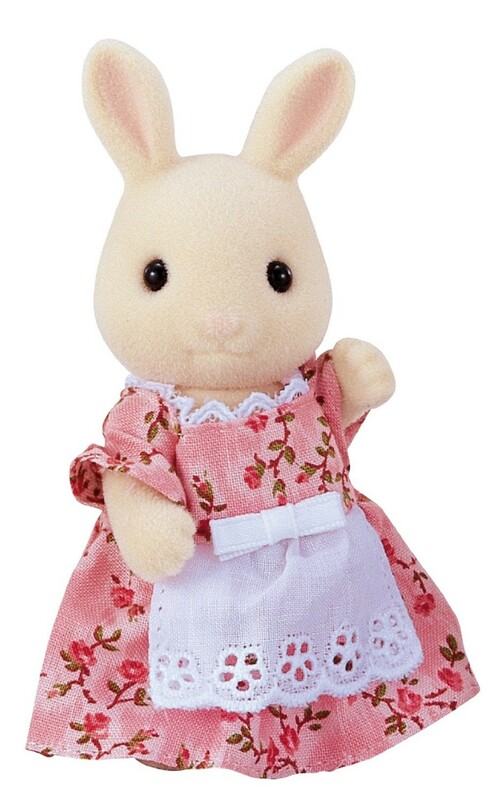 Especially the lights!